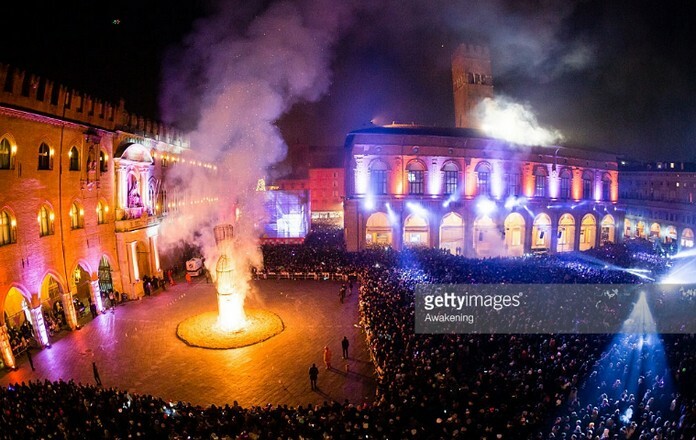 The town traditionally celebrates New Year’s Eve with the Fiera del Bue Grasso, during which an ox is decorated from horns to tail with flowers and ribbons. The winner of a special lottery at the end of the event gets to keep the ox. In Piazza Maggiore there is live music, an incredible street market and the most awaited for sight of the night. Click the next ARROW to see the next image!